GPRS-A is a universal monitoring module, provided with GSM telephone, supporting data transmission using 2G technology. The device can work as part of intruder alarm systems as well as automation systems. It provides reporting from the alarm control panel to the monitoring station and notifies the concerned parties about selected events. Thanks to its configurable inputs that support analog signals, it can be used to supervise operation of any sensors measuring different physical quantities and report instances when the set thresholds are crossed. For the module to interact with prepaid SIM cards, it has been provided with functions required to check the account balance and configure notifications of the balance falling below the minimum amount. The module can be successfully used in many existing and newly built systems. GPRS-A can receive information about events from the connected control panel and forward them to the monitoring stations at security agencies or to the parties concerned via the GSM network. The module connects to the control panel through the control panel dialer (the module simulates the monitoring station) or through appropriately configured control panel outputs connected to the module inputs. The module can be used to implement remote control functions, such as arming the system or opening the gate, also using the mobile application. The state of module outputs can also be changed automatically in response to specific events. GPRS-A can give a "new life" to some older alarm systems. It can also work as a stand-alone device, monitoring the state of various devices, automation systems, etc. The device can send notifications to the recipient through several independent paths. Since the event alert will be transmitted via all of the preprogrammed channels, the information will reach the recipient even when one of them turns out to be unavailable. using CLIP service (from as many as 1024 numbers). GPRS-A can find use in yachts, caravans, cottages, etc. When used in conjunction with a number of detectors, it will reliably protect the interior of the given premises. The module can, for example, send a notification to inform the owner or selected parties that the door is open or an attempt was made to start the engine. The GPRS-A universal monitoring module can be used in conjunction with automation and data acquisition systems. As it can exchange information with other devices by using the MQTT, JSON and MODBUS RTU open communication protocols, its operation fits in fine with the concept of the Internet of Things. It gives the users a wide range of possibilities of using, processing, storing and visualizing data.  Information sent by the module can be processed by using both commercially available software, as well as applications created from scratch. When used as part of IoT, many modules are capable of sending data (via GPRS) to a previously set up server. Such a server can also be used as a proxy to implement remote control of the outputs of all connected modules. The system built in this way is scalable. Communication with the server can be configured from the GX Soft program. The device is provided with a digital 1-Wire sensor bus. This allows up to 8 detectors to be connected, the maximum bus length being up to 30 m. When used with the SATEL DS-T1 or DS-T2 sensors, the GPRS-A module will perform very well wherever temperature monitoring plays a crucial role. The module inputs can be programmed as NO, NC or analog ones to work in conjunction with devices provided with NO or NC outputs, as well as with a number of analog sensors and digital-to-analog converters, which offers a great many possibilities for the module use. The module will convert (rescale) the received analog signal to any unit of measure, including temperature or another physical quantity. Collecting information from many modules in one place makes it possible to supervise, for example, a wind farm. remote control of module outputs (devices connected to them). PUSH messages give the user permanent access to information. Importantly, configuration of the application is very simple, and so is connection with the module. All you have to do is send an SMS from the application level to the device and receive the configuration data in response. Another, equally convenient way is to scan the QR code that is generated in the GX Soft program or in a preconfigured application. (via RS-232 (TTL)) or remotely (via GPRS). 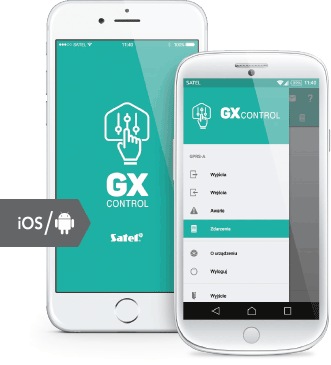 Thanks to the SATEL connection set-up service, you can enjoy many functionalities of GX CONTROL and GX Soft. Configuration of communication between the application / program and the GPRS-A module takes just a few moments, without any need to use external IP address or advanced network settings. When being sent, the data are encrypted using a sophisticated algorithm to ensure security of the transmission. GPRS-A is compatible with the UpServ program, which enables the device to be remotely updated. This allows the installer to quickly add new functionalities without having to physically visit the premises and dismount the module. GPRS-A is a universal monitoring module that can work as a stand-alone device or as part of intruder alarm systems as well as automation systems. The device is provided with a GSM telephone that supports data transmission in 2G technology. In the alarm systems, this module can be used to implement reporting, in conjunction with any alarm control panel. It connects to the control panel with the control panel dialer or appropriately configured outputs. The device has 8 inputs, which can be set as digital (NO, NC) or analog. Those that work as analogue ones can be used in automation systems or to monitor a wide range of external devices, such as temperature, pressure and humidity sensors. Additionally, GPRS-A has a 1-Wire bus, to which up to 8 DS-T1 digital temperature sensors can be connected. The module can send measurement data using the MQTT, JSON and MODBUS RTU open communication protocols, via GPRS. It is possible to create a server that will collect data from many modules. Gathered informations can be used for processing and visualization – e.g. to supervise environmental parameters prevailing in a group of cold stores, warehouses or production halls. This fits in with the concept of the so-called Internet of Things (IoT). In response to exceeding the preset threshold values of signals on analog inputs or from 1-Wire sensors, GPRS-A may respond by reporting such events to the monitoring station or send a notification to the indicated users. It allows to program an automatic reaction consisting in changing the status of selected outputs, e.g. by switching on the heating system due to a significant temperature drop. The module offers notifications of up to 8 users, in several ways: by using SMS or PUSH messages, or via the CLIP service. The device has 4 programmable outputs that can be remotely controlled using SMS, CLIP, GX CONTROL mobile application or GX Soft configuration program, as well as via IoT. GPRS-A can thus be used to remotely control the alarm system or other devices connected to the module. Programming and configuration is performed using computer with the GX Soft program. 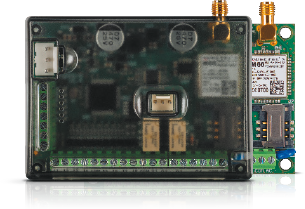 Connection with the module can be local, via RS-232 (TTL) port, or remote, by connecting to the device via GPRS. Remote update of the device (its firmware) is possible thanks to the interaction with the UpServ program.